Duch Ses is currently the vice village chief and a member of village health support group. After graduating from high school, she used to work at a restaurant in Siem Reap town. 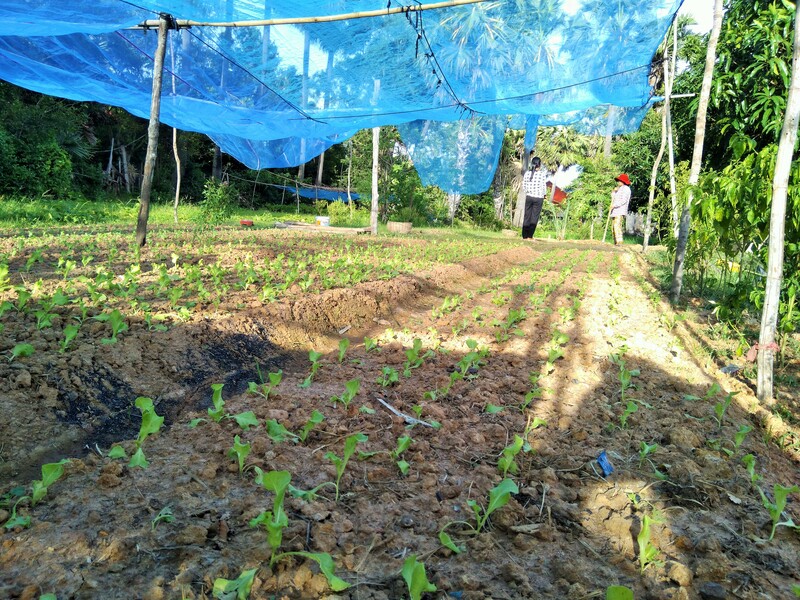 Obsessed with new agriculture techniques in combination with a passion to support her mother in agriculture activities, she decided to go back home and engaged fully with farming in 2016. 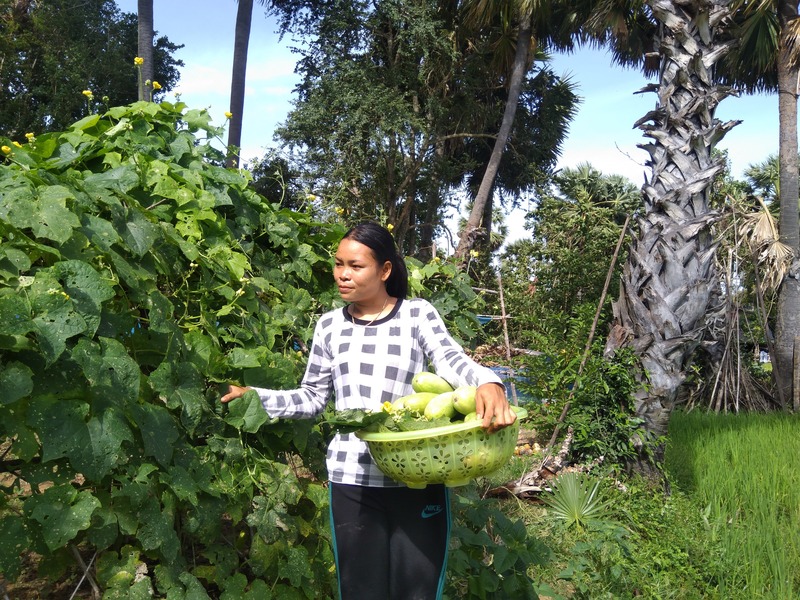 Besides being a farmer and a government officer, now she is also the Head Committee of EcoFarm Group, where she is in charge of coordinating production planning and facilitating market for the group. 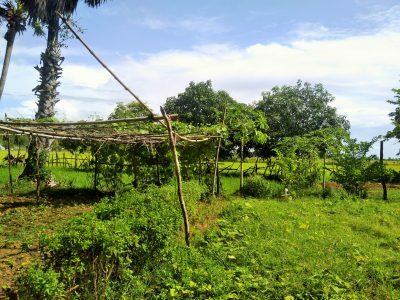 Duch Ses Farm incorporates all major elements that a sustainable farm should consist of in terms of agroecology. She currently raises 3 cows and she does not import fertilizers from off-farm sources. 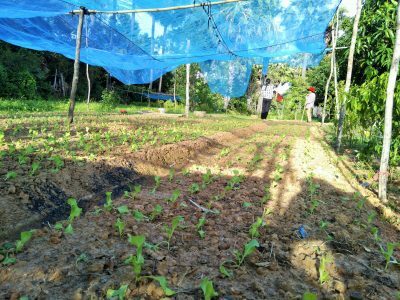 As the organic source of fertilizer is highly accessible on-farm, combined with proper crop rotation plans, the soil quality at her farm is improving year by year. There is also a good diversity of species available in her farm compound which include leaf and fruit vegetables, herbs, spices, fruit trees, and a plot of wet season rice next to a small pond. As the head of EcoFarm Group and one of the leaders in her community, Ses has been involving with many social and educational events to promote organic agriculture, public health and education. Regarding EcoFarm Group, she is responsible for overseeing the overall operations of the group including production, PGS certification and marketing. She and her group also organize and host visits from schools, local and international development agencies and visitors who are interested to learn about the how an agricultural group works and how they operate PGS certification.